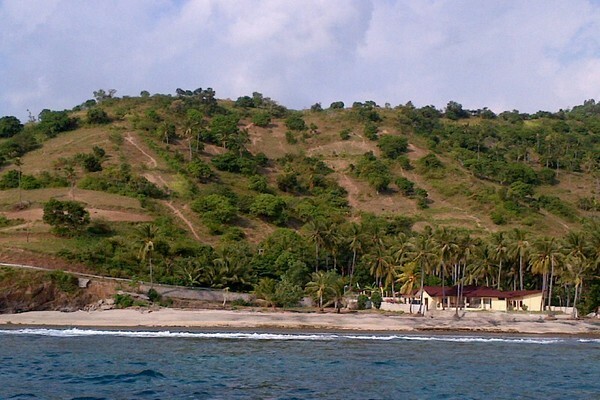 An opportunity to build a tourism development (subject to approval) on this freehold land for sale in Pandanan, Lombok by Eugene Shivnan from Exotiq Property Bali. The absolute beachfront and hillside land has stunning unobstructed ocean views. Facing southwest with absolute beachfront on Pandanan Beach in north Lombok, this area is set to explode onto the tourism world. "This massive freehold plot of land can be yours and is in a great location for a potential tourism development." Says Eugene Shivnan from Exotiq Property Bali who is marketing the property for sale. It has guaranteed access direct off a public road and electricity and water are already on site. All ownership certificates have been issued and it’s less than 500m to telephone lines. This beautiful property is located one half hour from both the airport and the capital city of Mataram. To arrange a private site inspection or discuss the property, phone or email Eugen Shivnan from Exotiq Property via the contact details below.